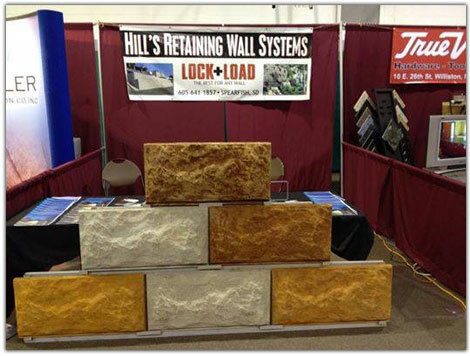 LOCK+LOAD is the largest hand placed retaining wall product available. Priced with the price of modular block, flexible like wire faced walls, and with the appearance and structural capacity of similar wet cast panel and big block walls. LOCK+LOAD accommodates virtually any wall geometry because each panel is independently stable and independent from adjacent panels.